The Congress in Arunachal Pradesh today urged the Election Commission to announce by-election dates for two Assembly constituencies in the state that are vacant for several months. ITANAGAR: The Congress in Arunachal Pradesh today urged the Election Commission to announce by-election dates for two Assembly constituencies in the state that are vacant for several months. The constituencies are Pakke-Kessang in East Kameng district and Likabali in Lower Siang district. State Congress president Takam Sanjoy, in a letter to Chief Election Commissioner Achal Kumar Joti, said Pakke-Kessang (ST) Assembly constituency has been vacant since February 8 this year. The seat fell vacant after former deputy chief minister and the then MLA Kameng Dolo lost his Assembly membership following a Supreme Court ruling. According to the Constitution, the by-election to an Assembly segment should be completed within six months. "The delay caused by your good office for not announcing the by-poll even after the expiry of six months is unprecedented, arbitrary and against the Constitutional provision," Sanjoy wrote in his letter. 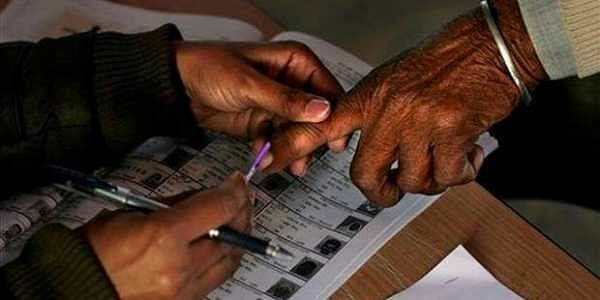 Though the Election Commission had announced by-poll to the constituency on July 29 this year, it was cancelled because of bad weather in the state at that time. In the letter, the APCC president also pointed out that Likabali seat also fell vacant after the death of Health Minister Jomde Kena on September 4 this year. The party urged the chief election commissioner to club the by-elections for both the vacant seats and order elections at the earliest.